Needle valves can be used as on-off valve or to accurately regulate the flow rate. They are manually operated and generally used for relatively low flow rates. 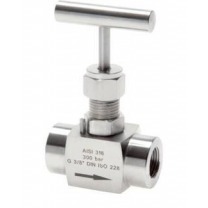 Check our wide range of stainless steel needle valves. More information can be found in our Technical Information Center.